At a podcast from earlier this year about Ingmar Bergman's early films the participants excitedly said that his first film Crisis (1946) clearly showed how he was influenced by neorealism. This is impossible. Crisis was filmed in early 1945, long before any neorealist films had been shown in Sweden, and before Rome - Open City (Roberto Rossellini 1945) opened in Italy. Consequently, neorealism did not even properly exist in Italy when Bergman made his film. Besides, there is nothing in Crisis that particularly suggests neorealism, not style, subject matter or tone. As I wrote earlier this year it is rather reminiscent of a certain kind of American melodrama, like something by Douglas Sirk before Sirk had mastered his craft. Admittedly the neorealist films are different from one another. Open City and La terra trema (Luchino Visconti 1948) do not have that much in common. Bazin wrote in 1954 that "Rossellini's neorealism" could be seen as "very different from, if not the opposite of, De Sica's." We might not even talk of these films as being part of a group or cycle or movement if Cesare Zavattini and some others had not explicitly promoted their cause at the time, often in hyperbolic terms. They were often, not least Zavattini, claiming that their films were the opposite of Hollywood cinema. "In fact, the American position is the antithesis of our own" Zavattini said in 1952, in particular the neorealists' "hunger for reality", their "homage /.../ to other people." But there is no "American position." During the years of neorealism, that desire to capture reality and truths about people was not more common in Italy than in Hollywood. Clearly Gone with the Wind (1939) is very different from the neorealist films, but it is also very different from The Best Years of Our Lives (William Wyler 1946), which aims to do exactly what Zavattini says his films uniquely do. Shoeshine (Vittorio De Sica 1946), scripted by Zavattini, is rather close in tone and style to Warner Bros. films of the 1930s, to the extent that it might be seen as an homage to it. When thinking about Open City, it is of course very different from Anna and the King of Siam (John Cromwell 1946) but compare it instead to, say, The Story of G.I. Joe (William Wellman 1945). The neorealist films are not the opposite of such a film, and many of them are more conventional and more melodramatic than Wellman's film. A very small percentage of Italian films from 1945 and to the early 1950s can in a meaningful way be called neorealist, on average maybe six or seven per year, among the close to 900 films that were made in Italy during those years. There are many ways of "capturing the truth" without the films being depictions of ordinary people in their daily environments but even if we, as I do here, restrict ourselves to such films, that still means that there were fewer neorealist films, like Bitter Rice (Giuseppe De Santis 1949), any given year than comparable films, like Deep Waters (Henry King 1948), from Hollywood. There are different paths this article can take now. The argument could be that many are confused about what neorealism is, but that is not what interests me. The more interesting path to explore is how neorealism has never been defined in a way that is coherent and is therefore a very malleable term. The confusion is already in the word itself, "neorealism". There is nothing that is new with the films called neorealist. Films that try to capture the life of ordinary working-class people in a setting that aims to be as close to their natural environment as possible is almost as old as film history itself, as is the mixture of actors and amateurs that most neorealist films have. Some have claimed that what is new is the relation to time that the films express, but that is not necessarily related to realism and was not new either. Therefore it is strange to call this film or that (such as People on Sunday (Robert Siodmak, Edgar G. Ulmer 1930), Our Daily Bread (King Vidor 1934) or Toni (Jean Renoir 1935)) precursors to neorealism because then it just becomes a synonym for realist films. 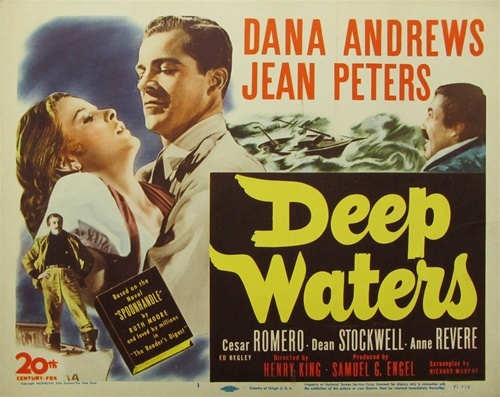 The style and themes of neorealism are not unique enough for it to be relevant to say that earlier realist films were "pre-neorealist". Yet neorealism does exist. I have here talked about them as a body of work, against which other films can be compared. Even if I say they are not new or different from all else I still clearly consider them as definable. And that comes from the particular time in which they appeared. They are the films made by a small group of filmmakers at a particular time in Italian history and which aimed, with various degrees of rigor, to depict the lives of ordinary Italians right after the end of the war, with Rossellini's Open City and Paisan (1946) being exceptions as they are set before the end of the war and about soldiers and underground fighters. The neorealist films were also about restoring the dignity of the Italian people. I assume however that it is now common knowledge that the neorealist films were to a large extent shot in studios and, when not using actual actors and stars, had amateurs that were type-casted and usually dubbed by others so that the face might be that of the amateur but the voice that of a professional. The films narrative structures are also frequently a lot more classical than was once assumed. Neorealism was above all a reaction to the studio-bound, Hollywood-influenced productions of the Fascist years (the so-called ‘White Telephone films’). Its proponents – Rossellini, Vittorio De Sica, Luchino Visconti, Giuseppe De Santis and Carlo Lizzani among others – were determined to take their cameras to the streets, to reflect the ‘real Italy’, which for years had been absent from Italian cinema screens. But this was not new for post-war Italian cinema. The critic Leo Longanesi wrote in 1933 that Italian filmmakers should move out on the streets and capture the lives of ordinary Italians and during the years of fascism such films were made, although I do not know an exact number. Neither do I know exactly how many "White Telephone films" that were made, but they do not make up all the many hundreds of films made in Italy during the years of Fascist rule. That was just one genre among many others. It is probably the case that a lot of the contemporary Italians' arguments about the break that neorealism allegedly constituted had to do with a wish to wash their hands of the Fascist years, even trying to hide their own part of it. Several of them had earlier made the kind of films they were now claiming to be revolting against, including Zavattini. Some, like Rossellini, had made films that were part of the comparatively few films that were Fascist propaganda. The neorealist approach is not in itself left-wing or right-wing, communist, fascist or conservative. Many causes can be served by trying to capture "the real Italy". None of this diminishes the actual films that the neorealist cycle consists of; they are what they are, with their strengths and weaknesses, regardless of what we say about them. This brief article is only about the way they are talked about, and in particular the very word neorealism. When Bergman's Crisis is referred to as neorealist it shows how the term has become detached from its specific meaning and instead refers to something considered realistic, diluting it of the meaning it might once have had. As soon as you use the term neorealist to talk about films not made in Italy just after the war, but about films made before and after and elsewhere in the world, the word loses its specific meaning and value. That seems unnecessary. 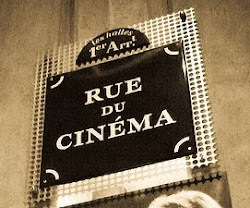 Perhaps it is better to use the term to refer to that group of films as a whole, rather than to individual films; that the term's specific value comes from the combined force of the films and their unique context. 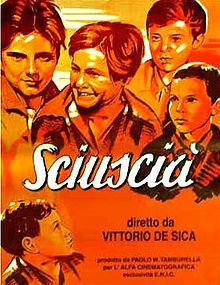 I said above that neorealism did not really exist in Italy before 1945 but I should add that the word "neorealist" was used by some Italian critics to describe Visconti's Ossessione when it came out in 1943. The interview with Zavattini was re-printed in Sight and Sound 23:2 (October-December 1953), and that is from where my quote comes. The Bazin quote about Rossellini and De Sica is from a chapter in the book Cinéma 53 à travers le monde (1954) and re-printed in André Bazin and Italian Neorealism (2011), p. 122. I really like Deep Waters, a film about a small fishing community in Maine. The lobby card above has more drama in it than the actual film. One problem with the concept and influence of neorealism is that it's become the default for depictions of working-class people, especially via the work of later directors like Ken Loach, the Dardenne brothers and Jafar Panahi; the only serious criticisms of ROMA I've seen so far say that it's disrespectful to make a film with lush cinematography that takes obvious pleasure in elaborate camera movements and set pieces centering on the life of a maid, which implies that her life could only be properly depicted with a cheap handheld video (or, earlier, 16mm) camera.